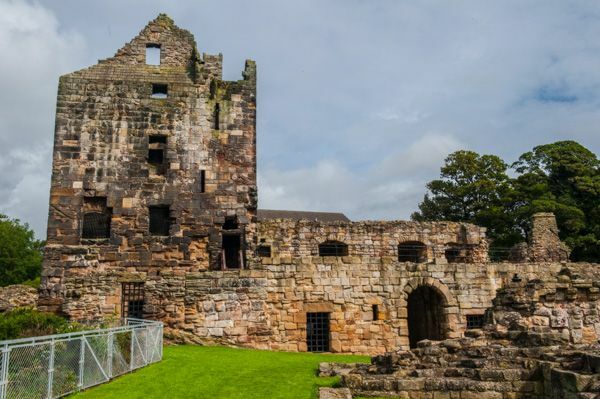 Ravenscraig Castle was built for James II of Scotland in 1460 and is probably the first castle in Britain to be built with defence by firearms in mind - and for protection from cannon fire. 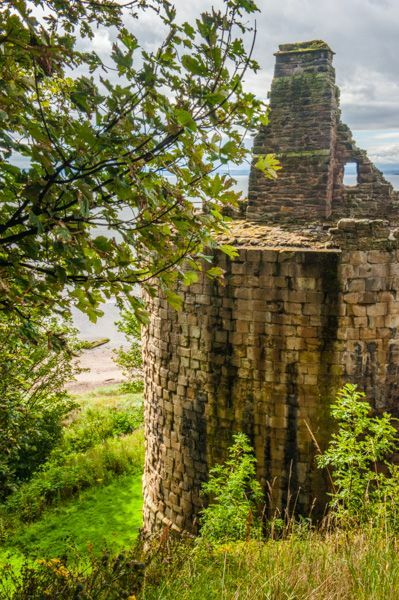 The castle consists of a pair of round (actually D-shaped) towers linked by a connecting range, set atop a rocky promontory on the eastern edge of Kirkcaldy, overlooking the Firth of Forth. James intended Ravenscraig to be one of a series of forts built with artillery in mind. It is easy to see the focus on cannon fire is reflected in the thickness of the walls, which were splayed out at the base to deflect all but the most direct hit from 15th-century cannons. The towers were 43 and 38 feet around respectively, and both were pierced with narrow gun ports to allow the garrison to use light artillery like falconets. Each tower even had its own well, so that if one was captured, the other could still hold out against a siege on its own. 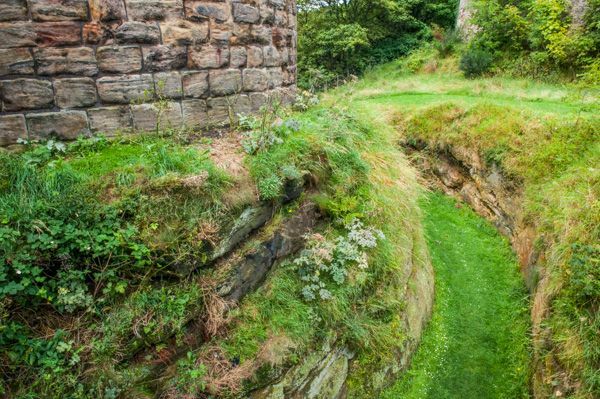 The towers were linked by a gun platform, set over a ditch cut right through the solid rock, creating a dry moat that separated the castle promontory from the headland. James had the castle built for his wife, Mary of Gueldres, who lived in the west tower and died there in 1463. 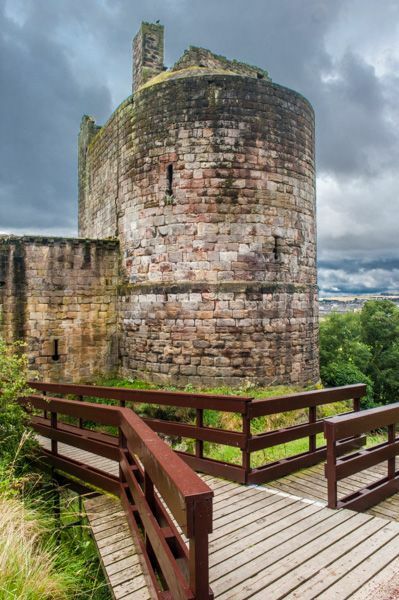 Even then, she outlasted the unfortunate James, who died shortly after beginning to build Ravenscraig, when a cannon exploded at the siege of Roxburgh Castle. Queen Mary personally oversaw the construction of Ravenscraig until her death three years later. In 1470 James III persuaded (read 'forced') Lord William Sinclair, Earl of Orkney, to exchange Kirkwall Castle for Ravenscraig. The Sinclair's completed the castle, lived here until 1650. The castle was damaged in an attack by Oliver Cromwell in 1651, and briefly garrisoned by English troops, but fell out of use after that and was left to decay. It was used as an ammunition store during World War I, and eventually passed into state care in 1955. It is now administered by Historic Scotland. The main feature of Ravenscraig are the thick walls, up to 14 feet wide, a testament to their intended use to protect against cannon fire. Much of the remainder of Ravenscraig is in poor condition, leaving it more a romantic ruin than a living reminder of a bygone age. The castle uses the rocky shore as part of its sea-facing defenses, augmented by a defensive wall. By the shore is a beehive-shaped dovecot used by the castle defenders. You can scramble - though there is a path it is quite worn in places - down to the shore for excellent views up at the castle on the crag above. It isn't a terribly high cliff, but it would have been very intimidating to try to attack up the slope. 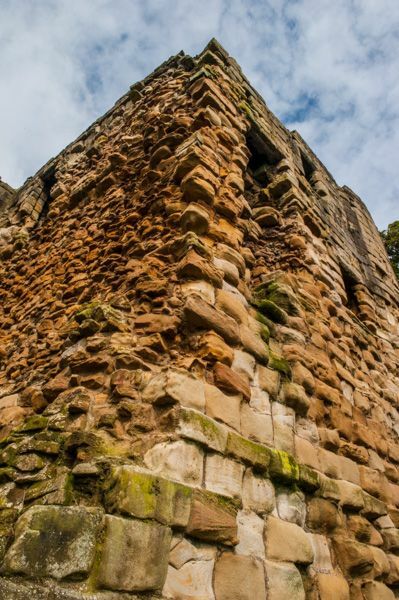 In truth, there isn't a lot to see at Ravenscraig; the location is fantastic, but the ruins are rather scanty with not much in the way of information about the site to help you interpret the castle. 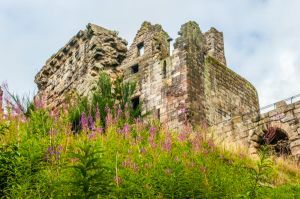 Which is a real shame, for there's a lot to like about the castle site, and it would be very helpful if Historic Scotland could provide more information to help you get more out of a visit. That's not meant as a negative comment! 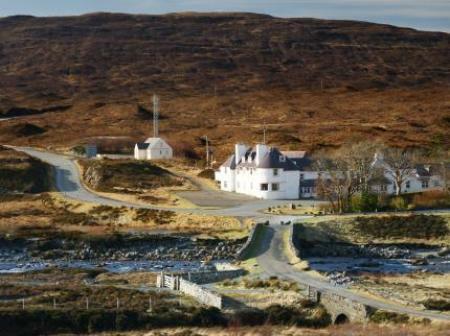 The location is compelling, and its well worth a visit. Location: Off the A955 Dysart Road on the eastern edge of Kirkaldy. Open access.